Dropshipping in gaining popularity month by month. The model gives you the ability to sell goods to potential customers without the need to stock the products. With a small financial contribution to start and with no need of having a warehouse, it’s easy to open an online store in the dropshipping model. See below how to start your adventure with dropshipping step by step. 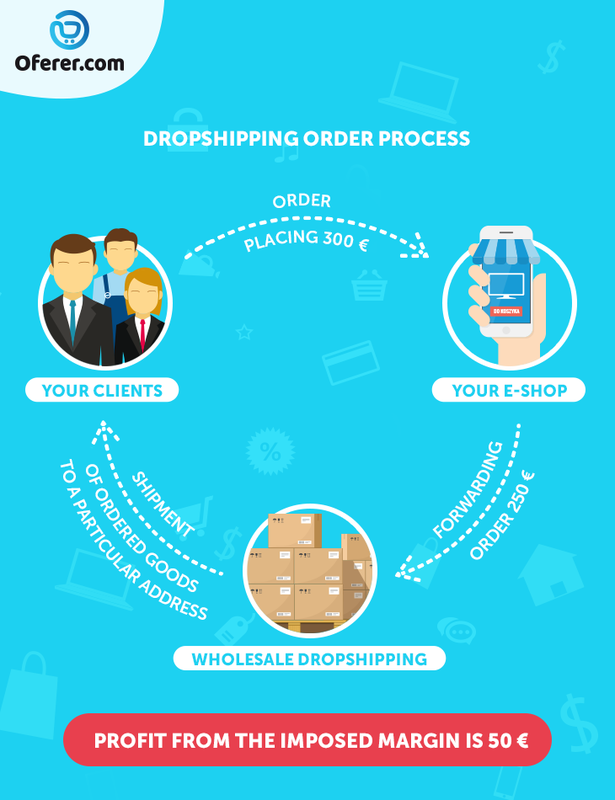 Dropshipping enables you to run an online store without inventory. Automatic integration with wholesalers allows you to save time and money but also gives the possibility to boost your sales with a wide range of products. The characteristic feature of dropshipping is that you do not need to own goods to sell them. Thus, you eliminate the costs of renting storage space. This opens the possibility for you of setting up a company with a low financial contribution and a small risk of entering the market. Sending the purchased goods directly from the warehouse to the customer means that you save time and money spent on packaging products and delivery process. Hence, your main task is to focus on providing effective advertising, which will guarantee a large number of orders. Dropshipping works in a very simple way. The order placed by the customer in the online store goes to the store’s administration panel, from where it’s being sent to the warehouse. The wholesaler on behalf of the shop owner sends a package to the customer. As a result, commercial relationships occur only between the online store and the customer as well as between merchant and wholesaler. Therefore, all claims regarding the purchased goods are directed to the online store. the number of potential returns from the customer. Why those factors are important if the shipment of the goods is on the wholesale side? Although you are not the one who sends the product directly to the buyer, you have to remember the fact that you are the one who is dealing with the storing all returns. 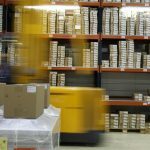 It might happen that some of the wholesalers will agree to receive returns directly to their warehouse, but it’s never a rule. Deciding for the dropshipping model you certainly have not prepared yourself with big warehouse space. Dropshipping of garden pools can be a profitable business, but it will require a space for storing the returned items. The situation will look similar in the case of dropshipping of clothes, which is one of the most frequently returned goods. The best idea of the assortment in a dropshipping model would be small products that are rarely returned to the store, e.g. watches. 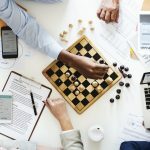 Being aware of the sales process from the inside will allow you to plan the time needed to run an online store and generate profits from dropshipping. When choosing an assortment for an online store, it is worth focusing not only on the size of the products and the expected frequency of returns but also on current trends in the e-commerce market. Be updated about new trends and try to sell goods that are currently on demand. Another good practice is to tie several categories of products together. This will allow you to purchase certain goods with the necessary accessories. Thanks to this you will increase your sales and will make customers return to your store. Dropshipping gives you a chance to have a very wide range of products and the possibility to provide unique products. In order to start making money in the dropshipping model, you have to have an online store. The best solution will be to use the software in the subscription model, which is fully prepared for dropshipping. Entrepreneurs at the beginning of the journey often choose more expensive dedicated software, that consumes their time on technical issues. Offerer offers full automatic integration, professional team, and low costs of functional software that will allow you to focus on sales development and will save your time on more important issues. Every warehouse has its own policy. Moreover, the price that will be presented to you will be an individual offer. Remember at the beginning of your adventure with the dropshipping, you probably won’t get any discounts or special offers. In order to get in the future low prices from the wholesalers, focus on gaining as many customers as possible by imposing a low margin. Before starting the cooperation with the warehouse, make sure you know everything about key issues. 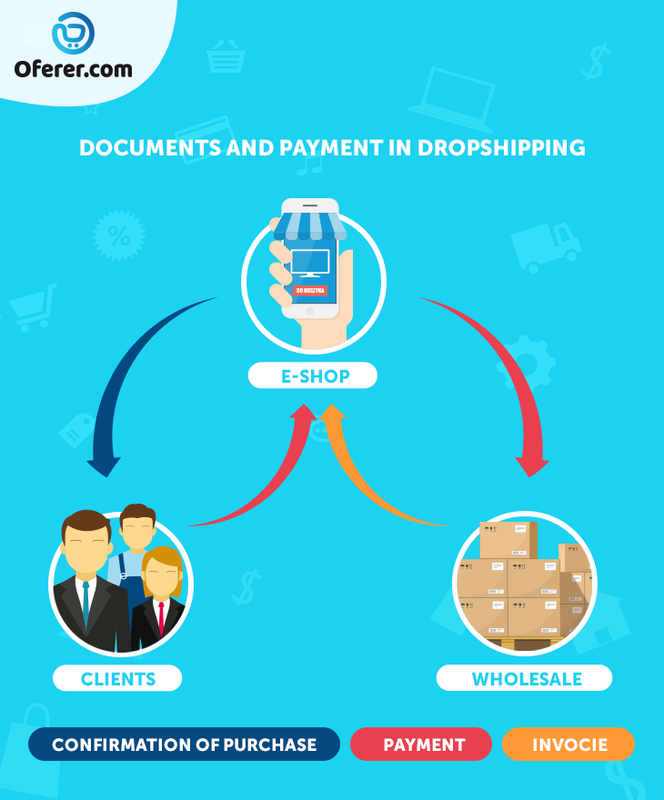 Offerer platform is integrated with over 50 dropshippping wholesalers that you can easily have access to. What are the benefits of integration e-store with the wholesaler? Firstly, it allows you to sale immediately a wide range of products, because all descriptions, photos, and titles are imported directly from wholesale. Thanks to high automatization, you do not have to provide all goods to the store manually, which saves a huge amount of time and money, and accelerates the entry into the e-commerce market. Integration with the warehouse also allows you to regularly update prices and inventory. In case you want to cooperate with a wholesaler that is not on the list, we can do a new integration on your behalf. All you need to to do is provide us with a file of products prepared by the warehouse. Remember it’s very essential to promote your online shop and products. Thanks to the effective promotion you will reach a wide audience, which will translate into increased sales and improved brand awareness. Using many communication channels such as social media, including Facebook will definitely help. The online store sends them to the warehouse. The wholesaler sends the goods to the buyer. The online store sends a receipt or invoice to the customer’s email. The merchant pays wholesaler before or after the order is shipped. Returns are accepted by the online store and complaints by wholesalers. The payment model is convenience for people who do not want to invest capital in the purchase of a product to the store. Dropshipping allows you to pay only for goods that have been sold. As a result, there is no risk that unsold goods will remain in your stock.